Starting April 2019 this blank changed to "Batch 2". 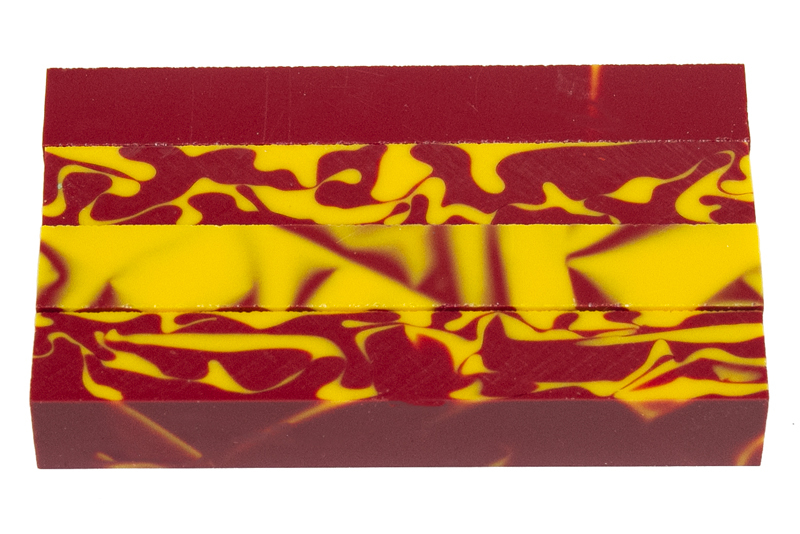 The original blank had 5 layers (burgundy-gold-burgundy-gold-burgundy). 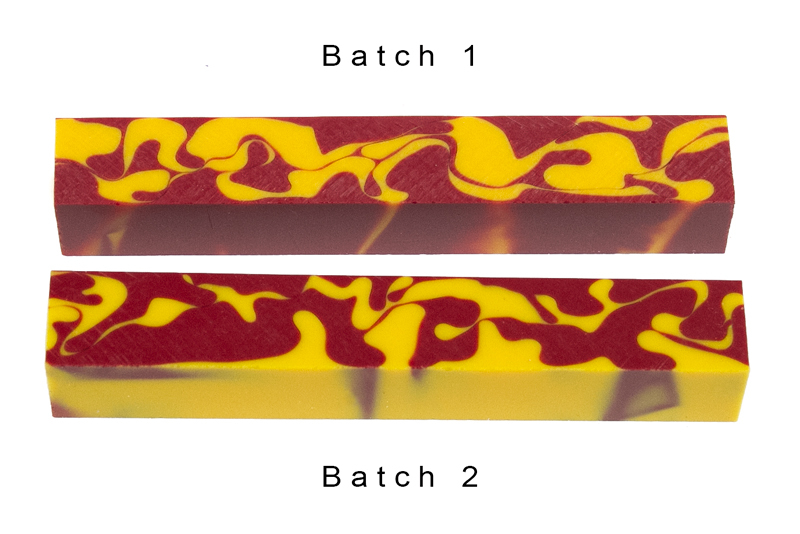 The batch 2 blanks have 4 layers (burgundy-gold-burgundy-gold) and the gold is more yellow.